Hello everyone! What a glorious day. So many commented on enjoying pictures showing possibilities of re-purposing "bling". 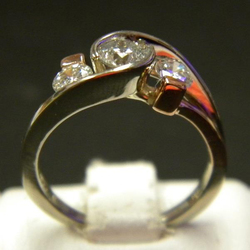 Here's one of my favorites for two reasons; not only is the final product stunning but the diamonds came from items many have that may be unworn. 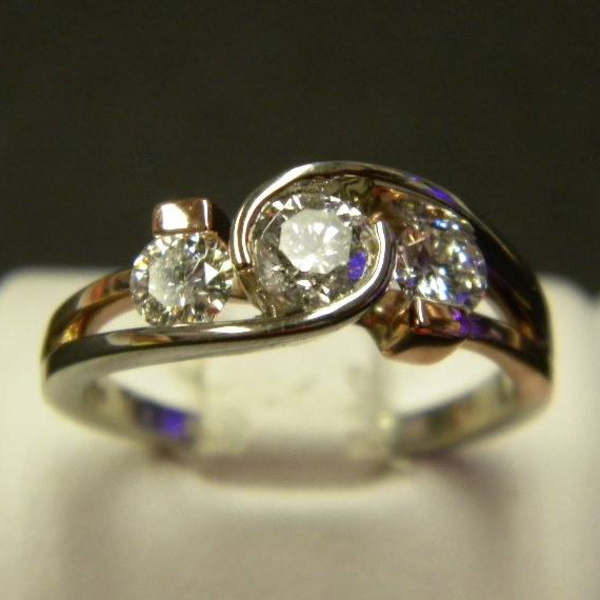 A simple diamond pendant and stud earrings became this rose and white gold ring. With no prongs to catch, this simple and elegant style could be worn daily. Enjoy! 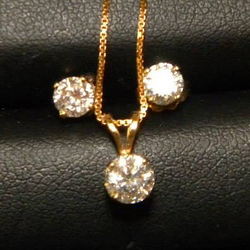 The client's original set with about a 1/2 ct diamond pendant and each earring about 1/4ct. Center diamond is set flush with white gold bars. 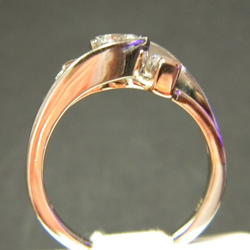 A rose gold heavy prong holds the outside of the side diamonds.